Beth is extremely pleased to announce that her work will be shown this September for the first time at Beaux Arts Bath. The gallery will be exhibiting a substantial number of Beth’s bronze pieces as well as some recent charcoal drawings. Beaux Arts is housed in a beautiful Georgian building near Bath Abbey. Do pay them a visit If you’re in the area. Opening Reception: 5 September, 6 – 8.30 p.m. 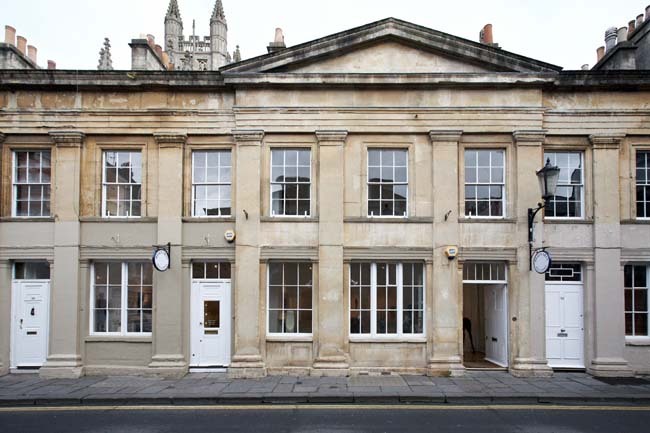 Please visit the Beaux Arts Bath website for more information. 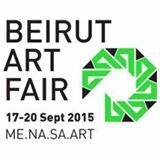 Galerie Rauchfeld will be exhibiting Beth Carter’s work at Beirut Art Fair from 17-20 September 2015. Please visit the Galerie Rauchfeld and Beirut Art Fair websites for more information. Bertrand Delacroix Gallery, New York, are presenting their Summer Collective through 7 September featuring new work by Beth Carter, Joseph Adolphe and Frederico Infante as well as Ayline Olukman, Stéphane E. Dumas, Quentin Garel and Yannick Fournié. Axelle Fine Arts Galerie Soho, New York, Summer Group Show runs through 13 September featuring a rotating selection of works from their roster of international figurative artists. Currently on view are Beth Carter, Patrick Pietropoli, Albert Hadjiganev, Ġoxwa, Quentin Garel, François Anton, Julia Levitina and Benoît Trimborn. 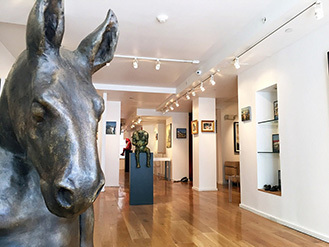 Axelle Fine Arts Galerie Boston are also currently presenting their Summer Group Show at their new location at 173 Newbury Street. 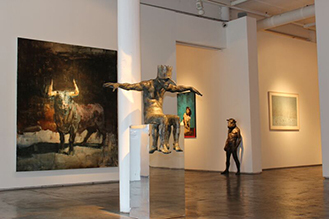 The exhibition features a provocative collection of artists and sculptors from their current roster. Currently on view are pieces by Beth Carter, Yves Crenn, Fabienne Delacroix, Philippe Charles Jacquet, Albert Hadjiganev and Xavier Rodés.